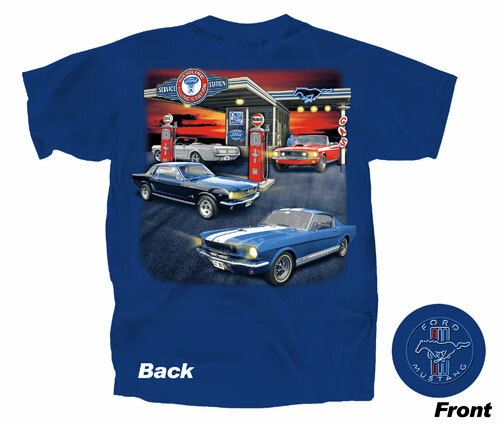 Medium blue color Mustang T-Shirt features Mustang Gas Station on the back with four Mustangs. A small Ford Mustang logo is printed on the front LH side of the shirt. Specify Size from Drop Down Box. Available in Medium, Large and Extra Large.